The gambling game of keno is some form of bingo or lottery that originated from China. The invention of this game has been rumored to have stopped an ancient city from being destroyed in a time of war. Some rumors also indicate that it was this game that was used for raising funds that were used for building The Great Wall of China. This game used a circular enclosure made of glass that was known as “bubble”. This glass enclosure was filled with 80 balls numbered 1 to 80. The draw was done by using a blower which pushed air in to mix the balls and then a “caller” would press a lever or button that would then open a tube that the balls will be passing by one at a time in to another tube that was V shaped referred to as “rabbit ears”. A verifier was required to be beside the caller in order to record all the 20 drawn balls after which the keno system that was computerized would calculate all wagers according the drawn numbers. Each player should have a blank keno ticket forms with selection boxes numbered 1 to 80. 20 balls would then be drawn at random after all the players have placed hey wagers successfully. 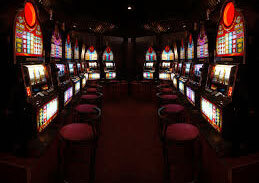 Different casinos have different pay scale choices and these are referred to as paytables. Players will be paid based on the selected paytable keeping in mind the wager amount and according to the number of numbers drawn that match the ticket selected numbers. 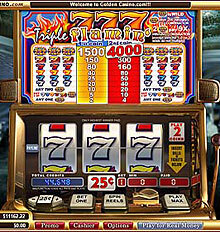 Most of the online casinos where you can play keno offer great bonus deals. You can get 2014 winpalace casino no deposit bonus here. Today this game is played a bit differently as the draw is done at a “keno booth”. This booth can be in the form of four different devices. Hand Cage which is a metal ball cage that spins thereby rolling the numbers into a slot and then validated by a person. There are keno runners who walk around calling out “keno” in order to offer carrying a player’ wagers to a keno booth to be processed. The players should give the runner filled wager forms or the “inside ticket” as well as wager payments to take to the counter to be processed as well. The runner will then return with an “outside ticket” which acts as the official wager receipt. Players are encouraged to check these tickets carefully in order to identify any errors before the balls are drawn. Modern keno also allows players to have the option of playing multi-race keno where a ticket is booked for a number of sequential keno races that can go up to 1000.